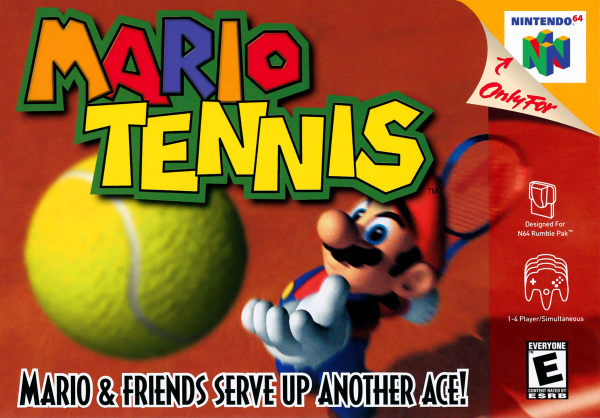 Acclaimed as one of the most addictively fun games on the Nintendo 64, Mario Tennis has returned on Virtual Console! The controls are simple and intuitive to give you a realistic tennis feel. 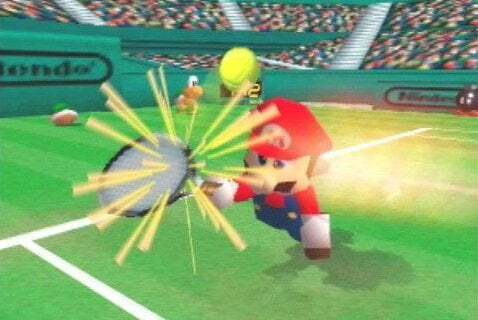 Keep your opponent guessing by mixing up volleys and lobs, unleashing backhand smashes or unnerving them with different types of spin. The game sticks to the official rules of tennis and has several different modes - from the standard Tournament to the wacky P####ha Challenge. 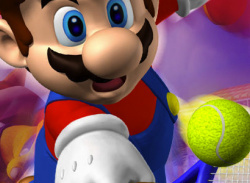 Choose from 16 adorable Nintendo characters to play with. 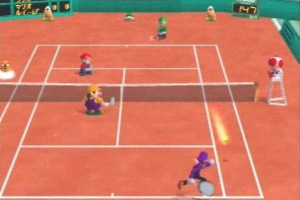 Each character has unique attributes that give them an edge on the court. 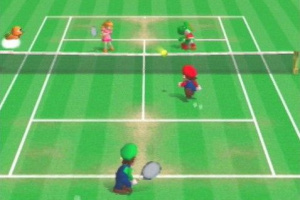 Baby Mario is incredibly fast and Donkey Kong has immense power but Boo can put some tricky spin on the ball. Find a character that fits your style! Whether trying to unlock all the secrets in single-player mode, or having friends over for some intense fun in multiplayer mode, this is a game you won't ever want to put down! Are you serious? Another N64 game? 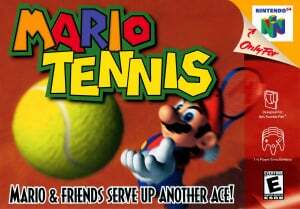 Woohoo!...even though I've never liked Mario Tennis. 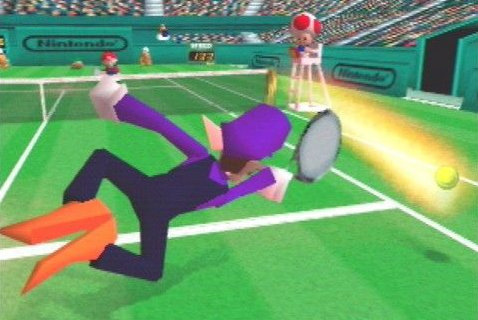 Mario Golf is way better in my books. Is this game really that good? Maybe. Maybe not. Undecided right now. YES WE ALL DEMANDED THIS IM DEFINATLY GONNA GET THIS FRIDAY. WOW THIS HAS BEEN AN AWESOME 2 WEEKS FOR GAMERS LAST WEEK GREEN DAY ROCK BAND AND MARIO GALAXY 2 COME OUT AND NOW THIS IS COMING TO THE UK FRIDAY APPARENTLY. 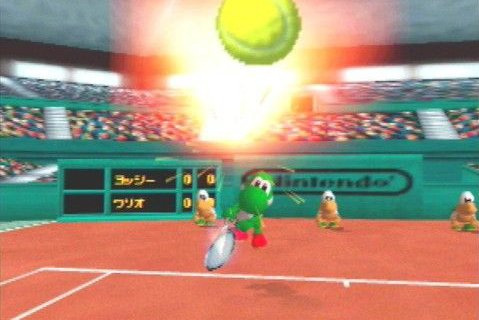 SO FELLOW NINTENDO LIFERS LET ALL DEMAND MOREN64 GAMES FOR VC LIKE MARIO PARTY 1-3, DONKEY KONG 64, POKEMON STADIUM 1-2, IF THEM GAMES CAME OUT I WOULDNT HAVE TO BUY AN N64. This is one of my favourite games, so I hope we do see it this Friday! Yay! I love this game! I must get this! Excellent game this for the N64. 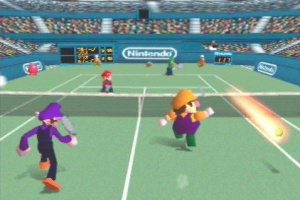 If they wanted a wimbledon tie-in, I'd have thought SNES Super Tennis would have been more likely. But I am quite glad to see another N64 game come to the Virtual Console. I effing love Super Tennis. I really hope it gets released on the VC. EDIT: Oh yeah! And it's where indeed Waluigi first appeared! That alone makes this game epic win. And his awesome rainbowy eyes of awesome!... ...Why doesn't he do that anymore?? I bought a Nintendo Points Card today thinking they would release this game today. Now I felt like I wasted my money when the game was never released in NA. Awesome!!!! This probably means more games such like Yoshi's Island will also be released in NO TIME!!!!!!! By the way, I just found out about this when checking the Wii Shop Channel. Tennis is easier though. I think at least. For a nintendo 64 this looks awsome.